Everyone likes dividends. But many are unsure exactly how dividends work. Here are some basics. A dividend is a payment to investors from a company’s earnings. Basically, they put money in your pocket when you own that stock. In addition to providing cash, dividends also signify the company’s confidence in their earnings stream. They wouldn’t pay dividends if they had to pull them back at a future date (companies hate doing that). First, when you buy a dividend stock, you need to choose whether you want the dividends paid to be automatically re-invested in the stock. With this option, the dividend will automatically be converted to more stock, and placed into your account. Otherwise, the dividends will be placed into your broker’s money market fund. What about how dividends work in terms of payment time? There are two dates that are critical. The first is the ex-date. This is the date that determines who gets paid the dividends. For example, if you own a stock with an ex-dividend date of March 1st, and you sell the stock on March 3rd, you will still receive the dividends. The second date is when the money is actually paid by the company. It may take a few extra days for it to be available to you, but you will be able to see it in your account. Dividends are usually paid once a quarter, and they usually go up, gradually. Most companies increase dividends once per year. 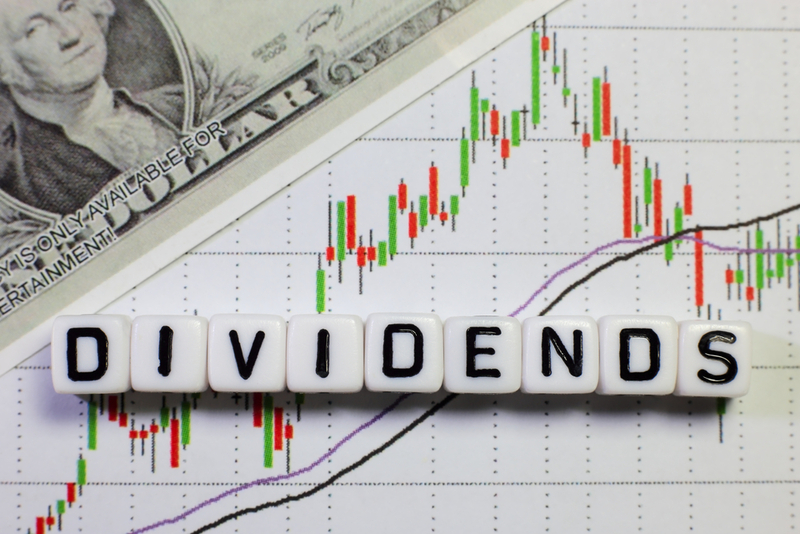 If you are purchasing a stock for the dividend, understanding how dividends work will help you determine which ones to buy. It is important to understand both how safe the dividend is, and how likely it is to increase in the future. By looking at earnings growth rates, you can assess whether a company will have more money in the future to pay more dividends. Another great ratio is the payout ratio. This tracks the percentage of earnings that were paid out in dividends. Companies like to keep this ratio fairly consistent. Keep this in mind before you buy your next dividend stock.